Good planets are hard to find – so let’s take care of the one we’ve got. It’s easy, we promise. While there are many ways to make a positive impact on the environment, we’ve started small and gathered our top ten tips from us all at WATG HQ that are simple to start working into your daily routines. 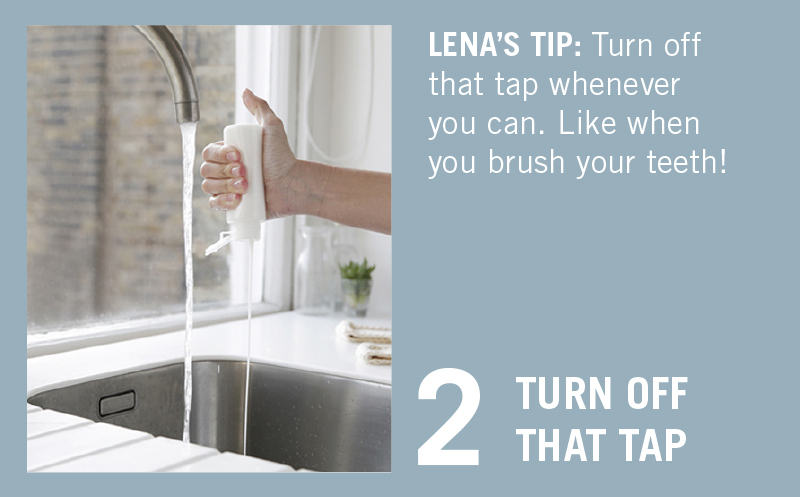 WHO’S DOING IT: In Colgate’s Every Drop Counts campaign, they shared that we could each be saving 8 gallons of water every day by simply turning off the tap when we brush our teeth. 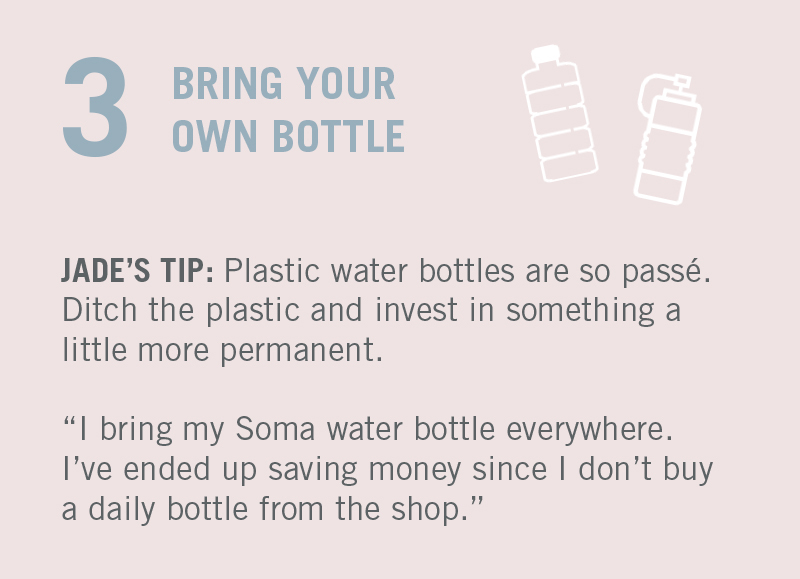 GET INVOLVED: Whether you go glass, aluminum, or BFA-free plastic – read more about safe water bottles here, and get hydrating! 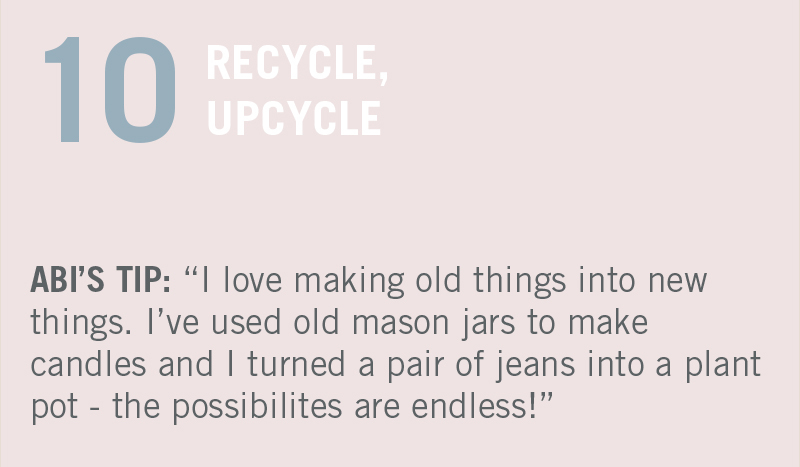 WHO’S DOING IT: Born out of a desire to embrace sustainable fashion, The Uniform Project challenges you to wear one dress for 365 days – only accessorising with vintage, handmade or reused pieces. In 2009, the ambitious project raised over 100k for the education of underprivileged children in India. 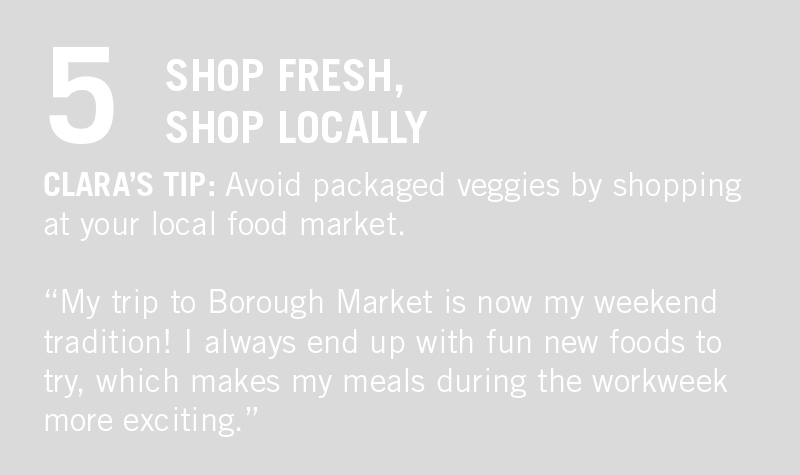 GET INVOLVED: Find a local food market near you here! FIND OUT MORE: On this handy Cycle to Work Calculator, you can easily see how much money you’ll save with your eco-friendly commute. 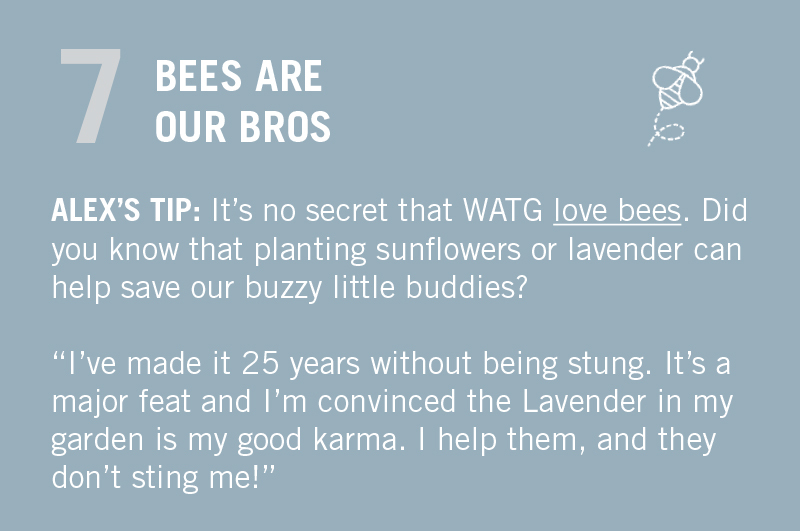 FIND OUT MORE: When you donate to Friends of the Earth they’ll send you a Bee Saver Kit, including British Wildflower seeds that are the bee’s knees! GET INVOLVED: We love these Eco Lunchboxes that are plastic-free – healthy for you and the planet. 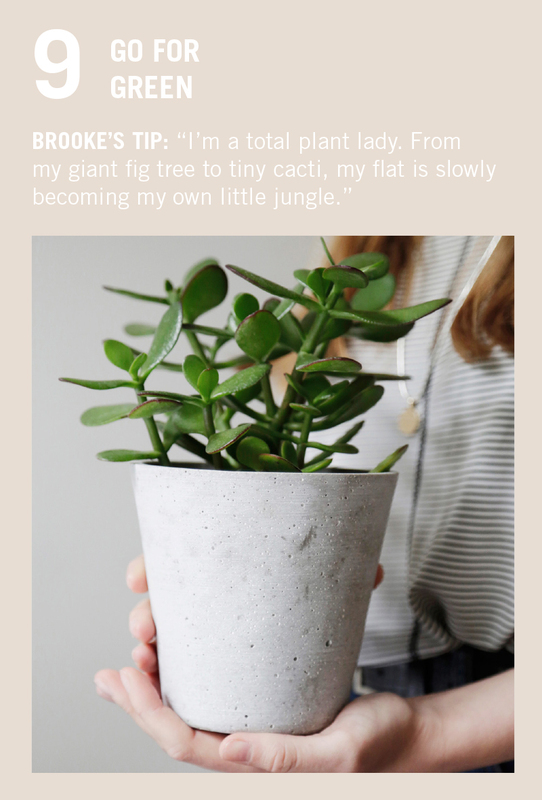 WHO’S DOING IT: Apartment Therapy put together their top rooms with plants, which is filled with great decorating ideas for your new green friends. GET INVOLVED: Use those jeans that are feeling a little snug to crochet these pots for your plants. 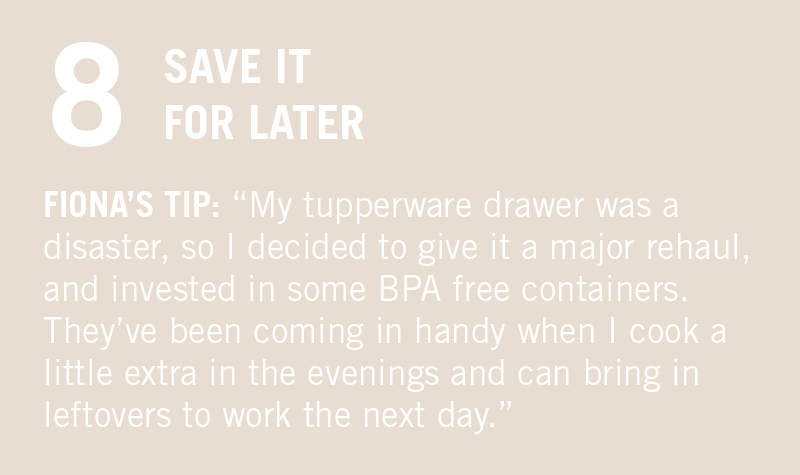 Do you have any eco tips we’ve missed that are already a part of your day-to-day? If so, share with us below! Fill a birdfeeder with all those odds and ends of yarn and hang it outside. It’ll look pretty and the birds will take out bits to build cosy and colourful nests. If you have the plastic bags laying around from previous brown practices, use the material in them to make a great reusable tote for groceries or whatever you need to carry. I’ve quilted them, knit them, and crocheted them into sturdy bags that hold enough to make a difference. and they are mostly cute or pretty. 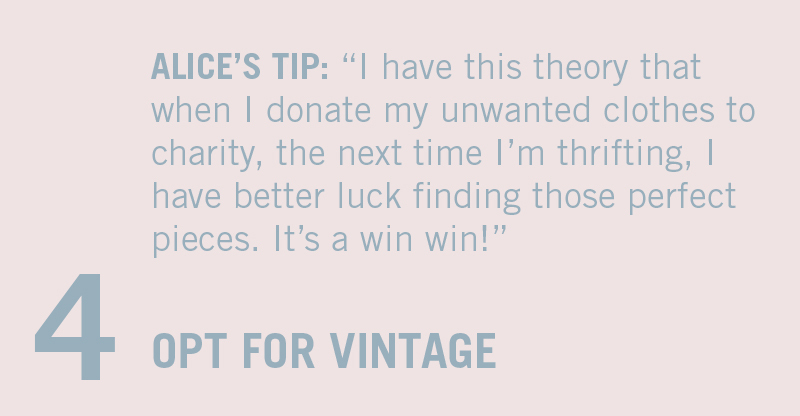 Use what you have. 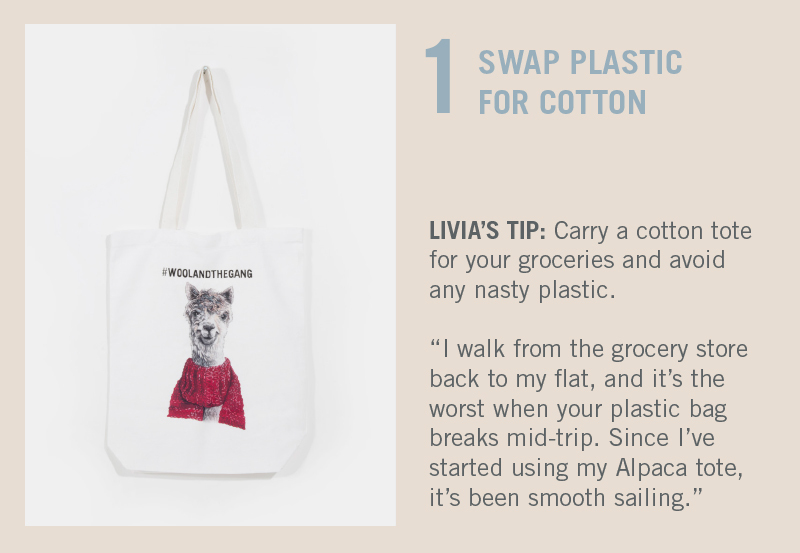 That’s a great tip – we’d love to see your knit/crochet totes – sounds great! One extra thing I do is take old t-shirts make them into strips and make comfy rugs with them, and the pieces to short for weaving get used to tie up plants to their supports, unlike cord and other string, it doesn’t damage the stems.